Summer is a great time to consider whether your furnace should be replaced in the next year or not. Homeowners have a couple months to choose a new unit and schedule the installation to be done in time for fall weather in Lexington. How do you know if this is the year you need to replace? Here are three factors to consider when judging. Most furnaces will function for 15-20 years, partly depending on whether they have gotten regular maintenance from a professional. If yours is nearing that age, you’ll know replacement is looming. If you’ve noticed your heating bills rising dramatically over the last few years, it could be that performance is suffering, making it less efficient. Energy.gov has AFUE (a calculation for gas furnace usage) tables to help measure current efficiency. Don’t be intimidated by the industry speak, the professionals at Climate Control are happy to guide you through the measurement and compare it to the newest available models. 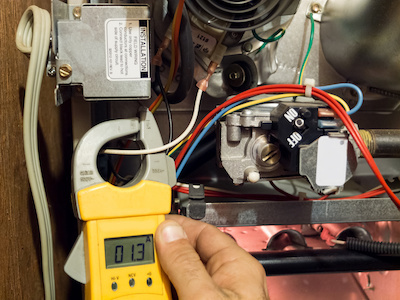 A strong indicator of how well your furnace is doing is the cost and frequency of repairs. Generally you’ll want to consider the expected repair bills alongside the cost of a new system. Below are some guidelines to help assess the damage. One rule of thumb is that if any repair is expected to be more than 50% of the cost of a new one, it’s better to replace no matter the age of the system. For smaller repairs, consider the frequency of repairs and how far into the current unit’s useful life it is. Multiple repairs are a sign that more are to come, particularly if it’s an older system. To make the best choice possible, consider all three of the above. Weighing them together will give you a clearer picture of whether you need to replace. Contact a NATE-certified professional at Climate Control of Lexington today to guide you through the options.